We produce two fundamental models, the Tourmalet and Ventoux, with variants of each to accommodate the broadest range of bike types and sizes. Our advice would be to select the most compact model of box that your bike will fit in to – there’s no point in flying fresh air. This section is aimed at assisting you in deciding which bike will fit in which box. 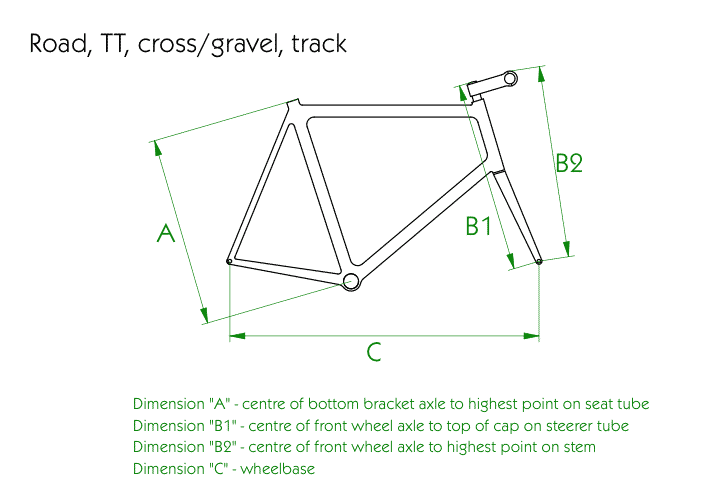 Compact box for road, TT, cross/gravel and track bikes. Requires removal of wheels, seat post, handlebars and pedals. Adaptable for Quick Release or Thru Axle hubs. 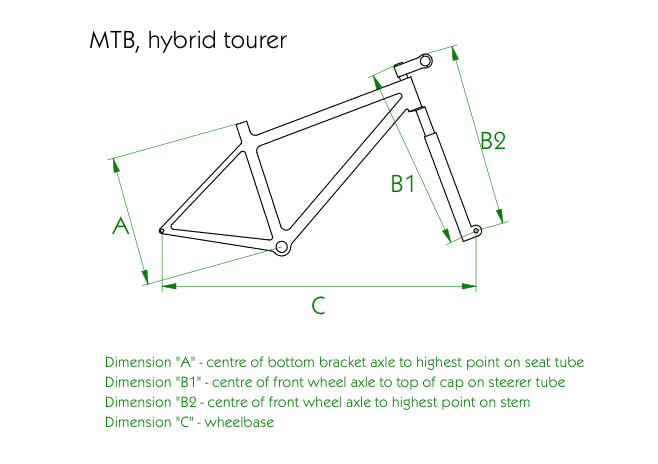 Available in three height increments H1, H2 and H3 – critical dimensions that determine fit are as follows (measure B1 if removing stem from steerer, B2 if removing bars from stem). Contact us if you have any questions about which box is best for you. 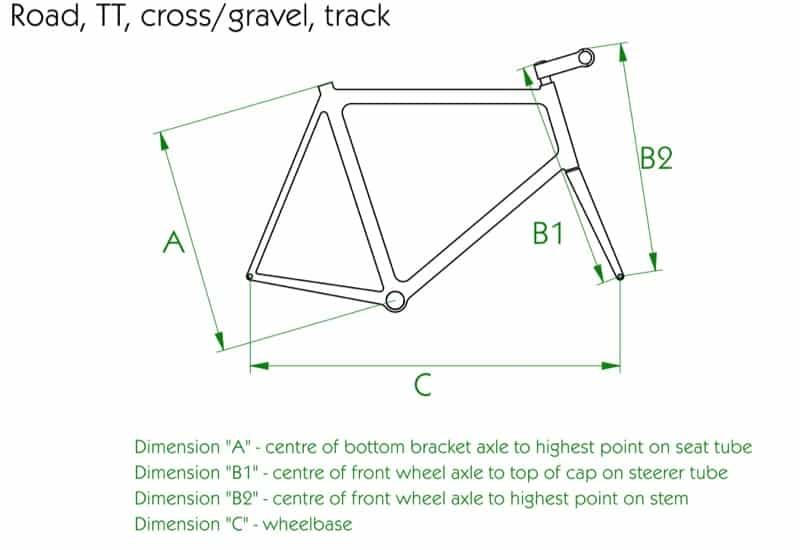 Dimensions A and C can be pulled from bike manufacturer’s specification. Dimension B1/B2 are specific to each rider’s position and hence must be measured. Integrated seat posts can be a challenge! In such cases, dimension A should be measured with saddle and seat post insert removed. Ensure that bars can be removed from stem or stem from steerer – this can be very challenging on some bikes with heavily integrated cockpits. We will need to know Thru Axle size (diameter and length) where applicable. Solution for MTBs, hybrid tourers and longer wheelbase adventure and city bikes. Adaptable for Quick Release or Thru Axle hubs - a Lefty conversion is also available. Dropper seat posts may require removal. Low-disassembly box for road, cross, TT, track and gravel bikes - ideal for applications where it is not possible or desirable to remove handlebars. Requires removal of wheels and seat post.